This leopard (maybe?) had attacked 2 kids. Traps were laid out and this one was captured in Anamalais. 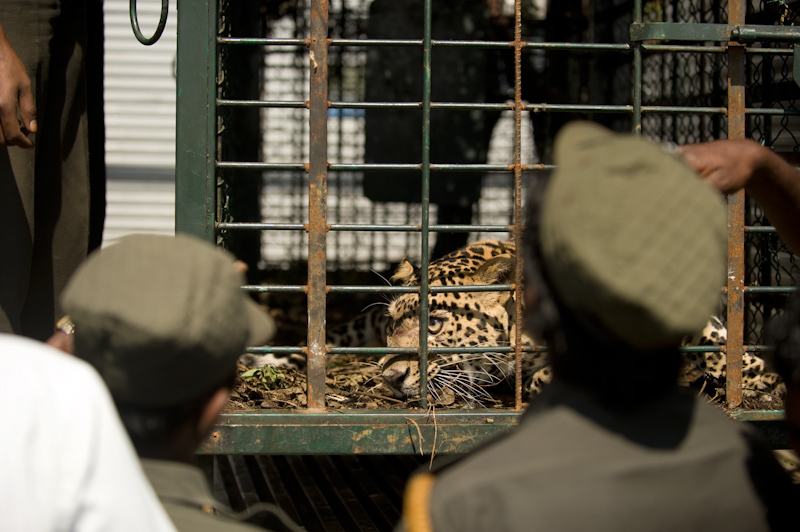 It was translocated to the forest, but research suggests that they might not survive after relocation and most often, the conflict actually increases when a leopard is removed.